To ensure Hobbs Parker Property Consultants respond to the need for the best possible property, land, planning and development advice, we have made a number of changes to our senior management team. Sam Snart, who joined the firm in 1999, has been appointed Managing Director of Hobbs Parker Property Consultants, and will work alongside Jon Rimmer, Chairman of the Hobbs Parker Group. 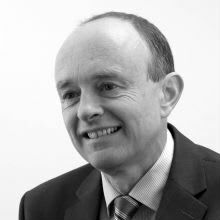 Jon will continue with his normal professional casework and work more closely with the firm’s planning team, advising the growing number of major landowners and developers calling on our expertise. We have promoted Matthew Sawdon to the position of Director. He joined in 2003 from Harper Adams University and subsequently qualified as chartered surveyor in 2005. Matthew now takes the lead role in the firm’s valuation, tenancy and CAP and policy support. Following the arrival of Steve Davies as Senior Planning Consultant from Canterbury City Council, the firm has welcomed a number of new clients eager to gain an insight into the planning systems of many of our local authorities.